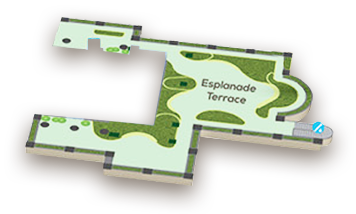 Bookending the Esplanade Grand Ballroom are two extensive "gardens in the sky": St Andrew's Terrace and the Esplanade Terrace. 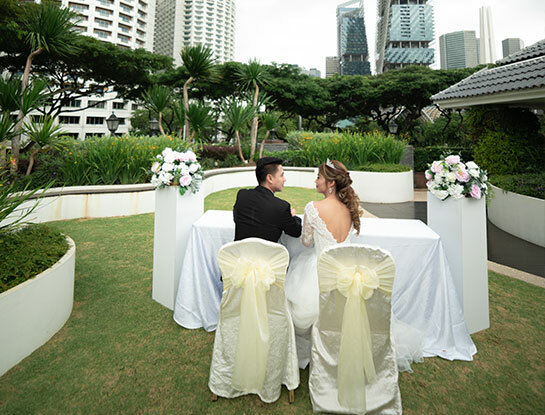 With their gorgeous signature views of downtown Singapore and lush, green landscaping, they offer guests many memorable photo opportunities as well as a free-flowing, informal ambience ideal for social networking. 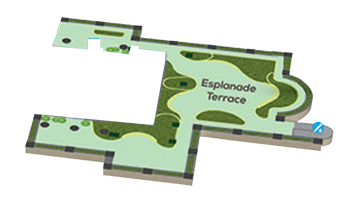 These gardens are the perfect setting for cocktail receptions and BBQs, whether as standalone events, or as adjuncts to banquets, conferences or meetings in the Esplanade Grand Ballroom. The Esplanade Boardroom is designed for executive comfort and convenience, with a long table, a 75" screen, and a lounge area for snack and beverage service. 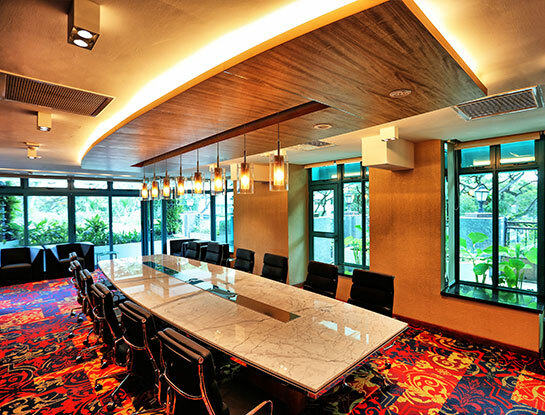 For greater flexibility, the boardroom and lounge can be configured as one space. 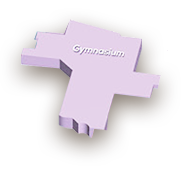 Or, the two areas can be separated with a wall. 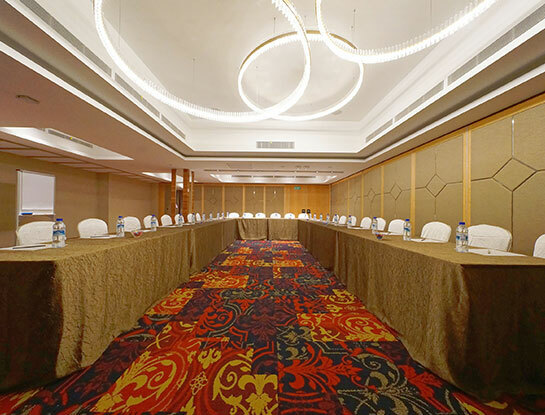 Located on the same level as the Esplanade Grand Ballroom, the Esplanade Boardroom is ideal for meetings and discussions at the sidelines of events. 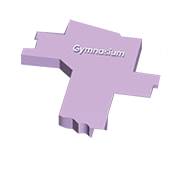 It is also frequently booked for a variety of meetings, mediation sessions, training courses and workshops. 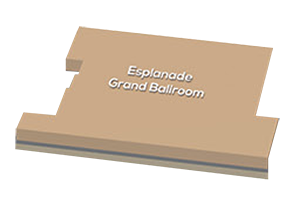 The Grand Ballroom, with its understated elegance and flexible spaces, offers you a canvas that will inspire your creativity, whether you wish to create a romantic, classical, contemporary or corporate-style event. A Reception with a View Complementing the ballroom are beautifully appointed reception spaces featuring indoor-outdoor ambience, where guests may enjoy our"gardens in the sky" and panoramic views of some of Singapore's most iconic sights, including the Padang, St Andrew's Cathedral and the National Gallery. Intimate weddings with 50 to 100 guests. Conferences with 20 to 80 participants. 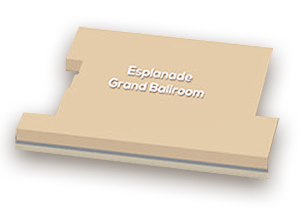 Seminars and workshops with seating options to suit diverse needs (U-shape, hollow shape, classroom, theatre-style). 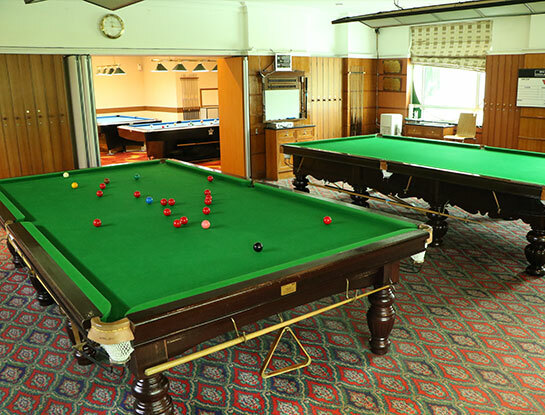 The Billiard Room is geared for competition, comprising of three billiards and snooker tables, and two pool tables, all against the dazzling décor of the billiard room. 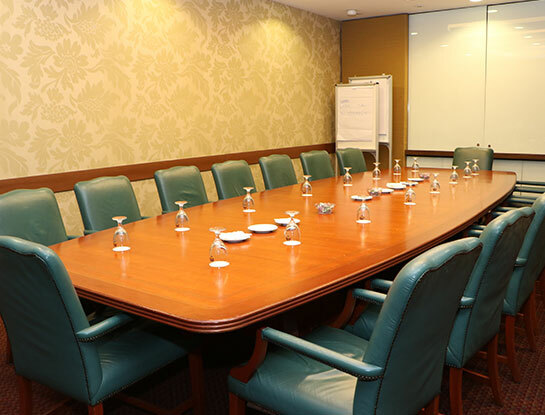 The Boardroom exudes the quiet sophistication and comfort that will impress the most discerning executives. Equipped with a 65" screen, and a comfortable long table, this room is perfect for meetings, mediation sessions, training courses and workshops. 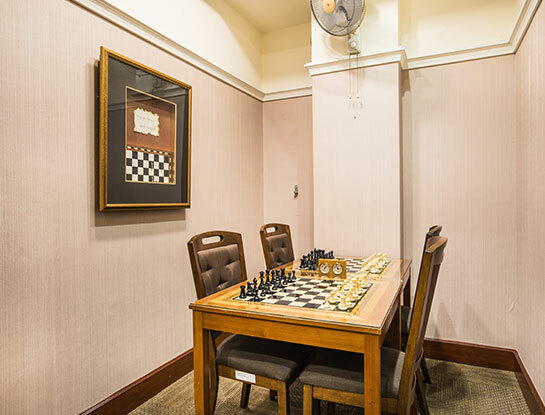 Be entertained and refresh your mind with a game of cards, mahjong or chess at our Mahjong, Card and Chess Rooms. 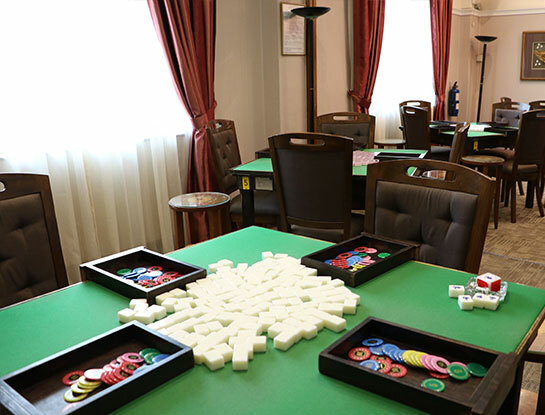 The Mahjong and Card rooms are exclusively for members’ use. Named after former law minister and esteemed Club member Eddie Barker, the Barker Lounge is the premier venue to relax and have a drink after a hard day of work. 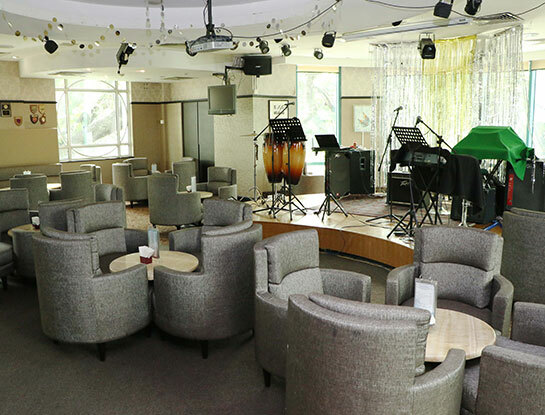 On Mondays, Wednesdays, Fridays and the eve of public holidays, our resident band holds stage. 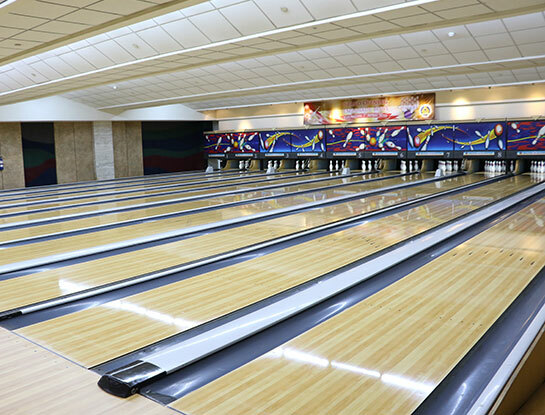 On weekends, catch all the 'live' sports action on the TV screens. 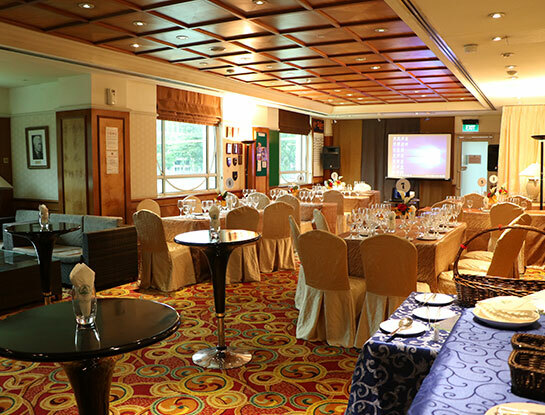 Barker Lounge is also the venue of regular promotional events such as whisky nights. The genteel Tessensohn Room, located next to the Barker Lounge, is a popular place for holding business meetings with associates or clients, or simply catching up on reading and work. 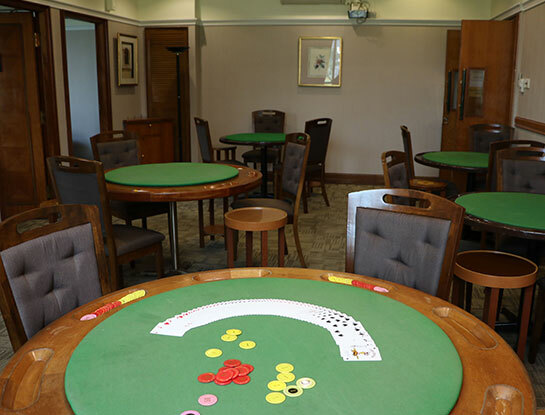 On Tuesday and Thursday evenings, bridge practice sessions are held here. The Padang Sports Bar is one of the best sports bars in town. 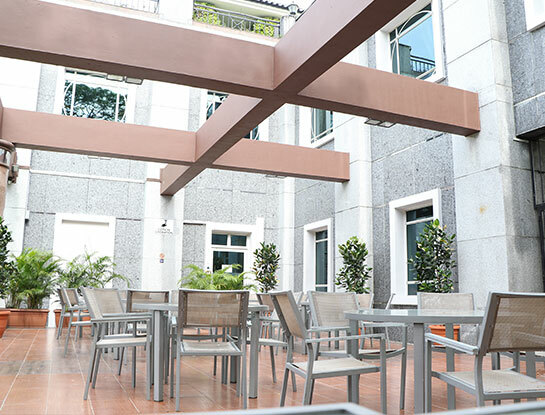 Its city centre location, outdoor ambience and superb skyline views make it the perfect chillout space. It also doesn't hurt that it serves one of the finest selection of super-chilled beers in town. And, when major sporting events roll around, its 4K TV screens attract a coterie of boisterous, yet friendly fans. 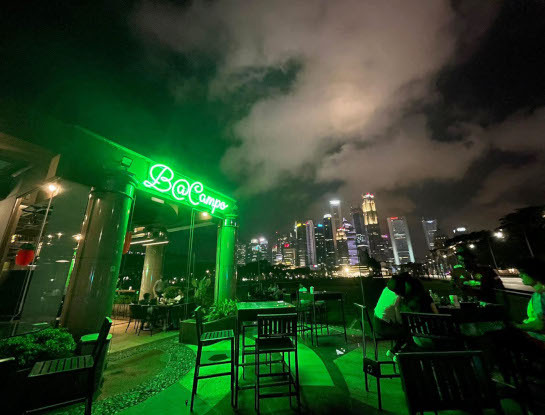 No wonder then that since opening in November 2015, the Padang Sports Bar has established itself as a popular drinking hole among members and guests. The Padang Lounge is a sanctuary for members to catch up on their reading. For those wishing to catch up on news, the television sets screen the local news channel. 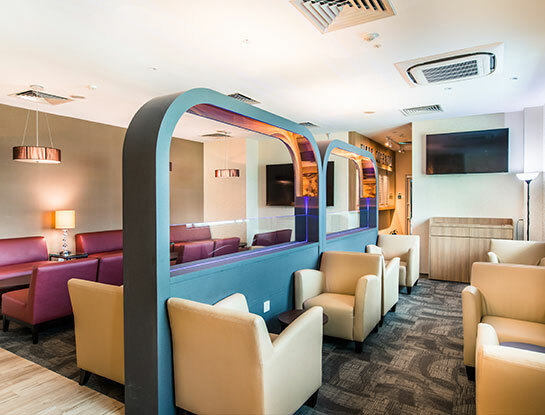 The Lounge also provides access for members and guests to the Padang Sports Bar. As the sun goes down, Lounge 1883 begins to come alive with dancers swirling across its parquet floors. And when it's time to take a break, it's just a short step away to the terrace to enjoy the evening breezes against the backdrop of iconic heritage buildings and national monuments. 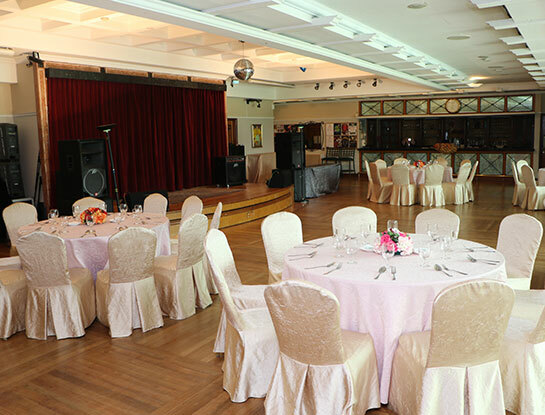 This vibrant venue is perfect for hosting social events, dinners, birthdays and weddings. 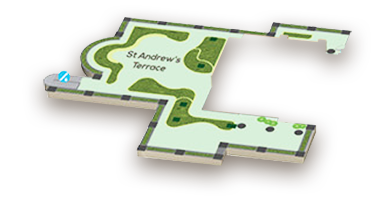 Many have also chosen the terrace area to solemnise their marriage under the stars. 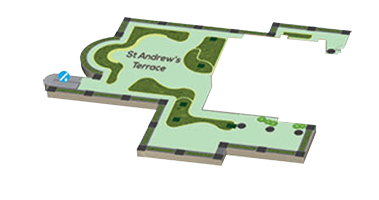 The terrace is highly popular for events such as BBQ parties and team-building activities. 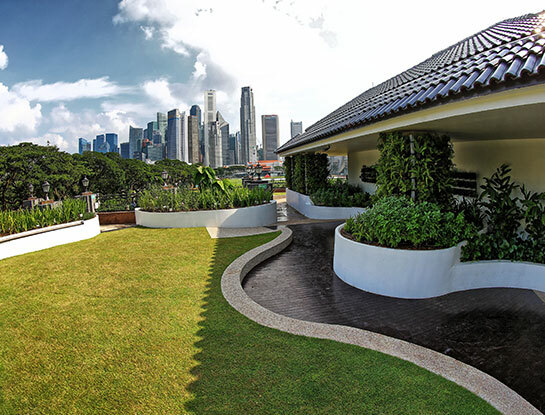 The Connaught Terrace charms with views of the newly landscaped gardens of Esplanade Park, and scenic views of the Padang, the Civic District and the Central Business District. It is a popular choice for BBQs and outdoor cocktail events spiced with "live" tandoor and satay stations. 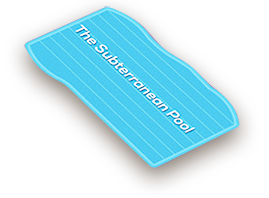 A pool built for any weather! 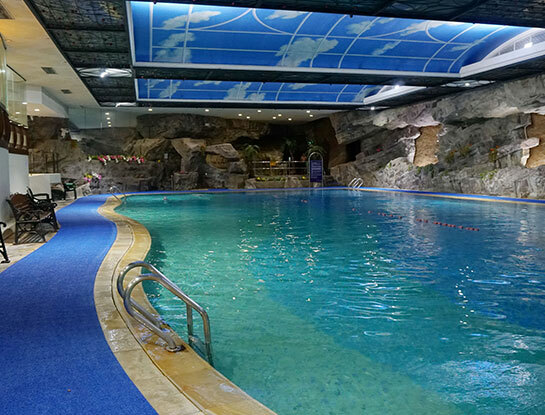 Relax in our indoor heated swimming pool, without worrying about the sun, rain or lighting. The pool comes complete with rock walls, balmy palms and water features. 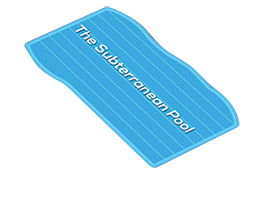 For the little ones, we have a smaller wading pool that is complete with a water slide for them to enjoy. 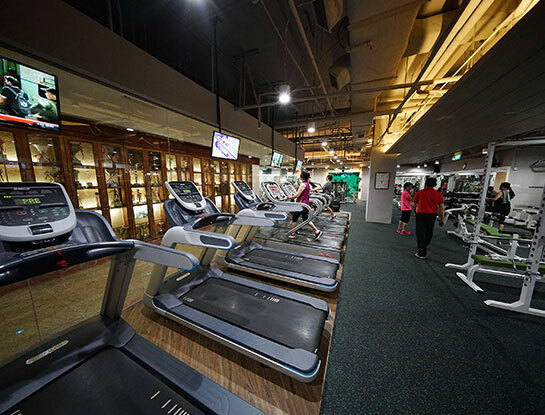 Whether you’re just starting out on your fitness journey, or a professional bodybuilder, head over to our new and improved gymnasium. 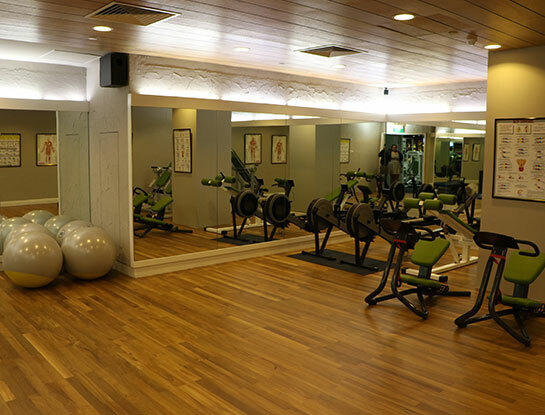 We have activities ranging from daily aerobic workout sessions to muscle building exercises. 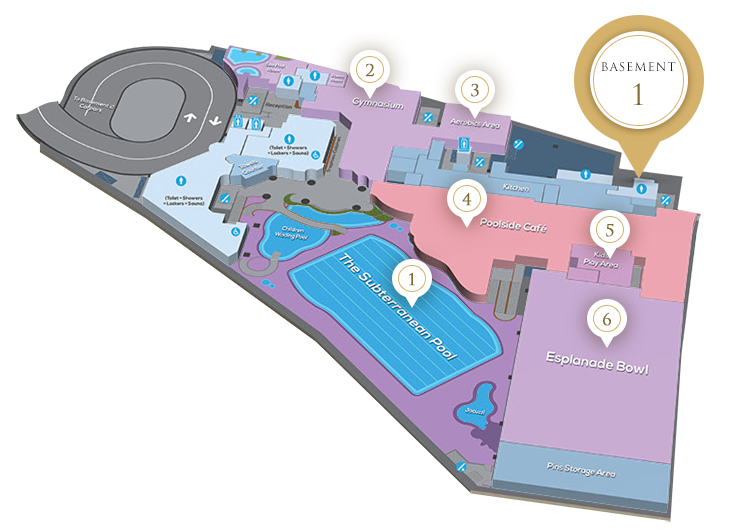 Trained instructors are also on site daily to offer you any guidance and assistance that you may need. Satisfy your hunger with local favourites, North and South Indian cuisine and Western specialities at our Poolside Cafe. 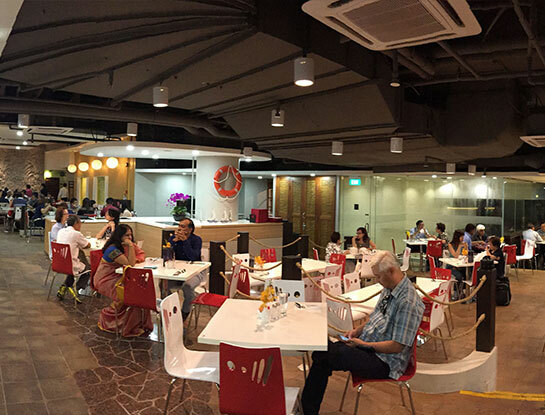 We recommend the Seafood Fried Rice, Crab Curry and Herb Crusted Garoupa Fillet. The value-for-money daily set menu is a popular choice for business lunches. Families love dining here on the weekends, as we also serve family style meals. 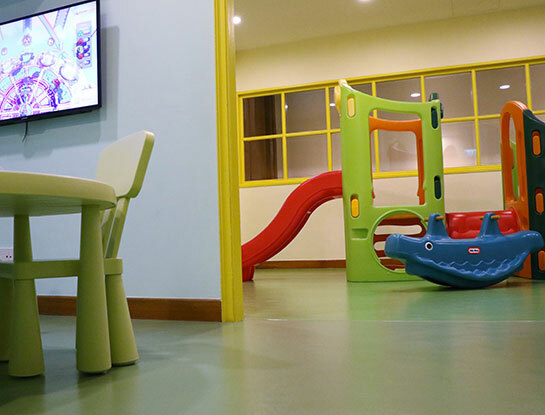 The Kids Room has a play system for pre-shoolers and game consoles for primary school going kids. A selection of Nintendo and Playstation games is available at our bowling counter. 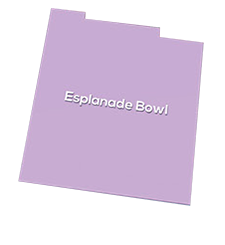 The 10-lane Esplanade Bowl welcomes expert and novice bowlers alike, with its SPL II synthetic lanes and its child­friendly bumpers for younger guests. 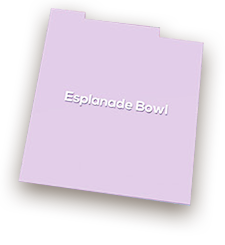 The Esplanade Bowl is a great venue for competitions. 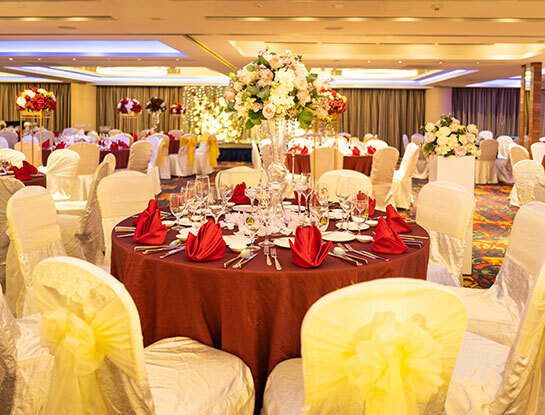 It also offers attractive packages for birthday and corporate events.